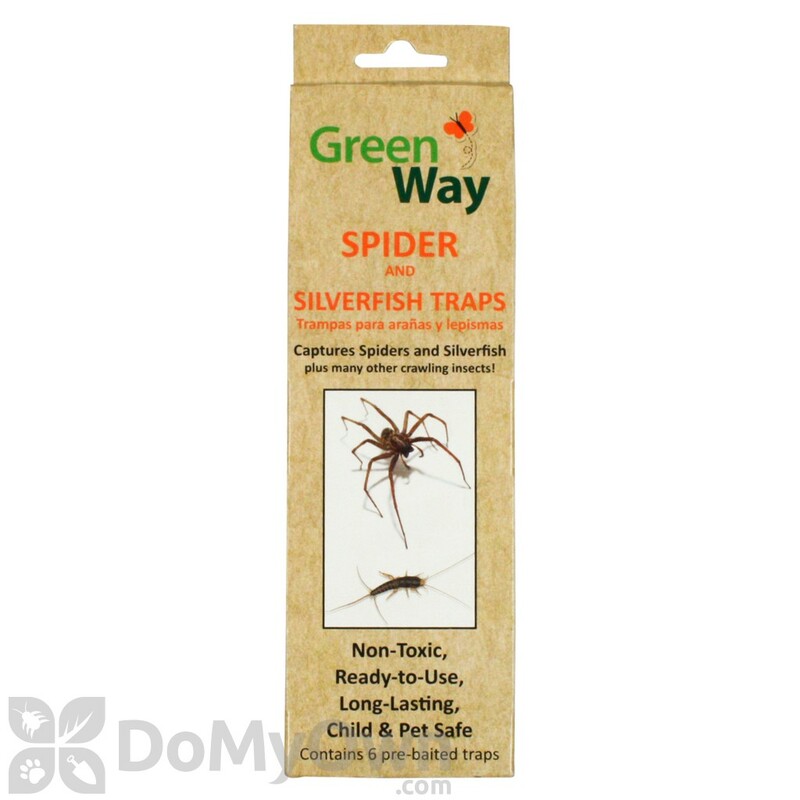 GreenWay Spider and Silverfish Trap is a ready to use, non-toxic, insect control trap that catches crawling insects in your home. These pests like to go wherever there is high humidity, like the attic or the basement. Just place the trap in a corner or near a wall in the area that is infested, and leave the sticky surface exposed for the insects to step on. Replace the trap when it is full of pests or after two months. 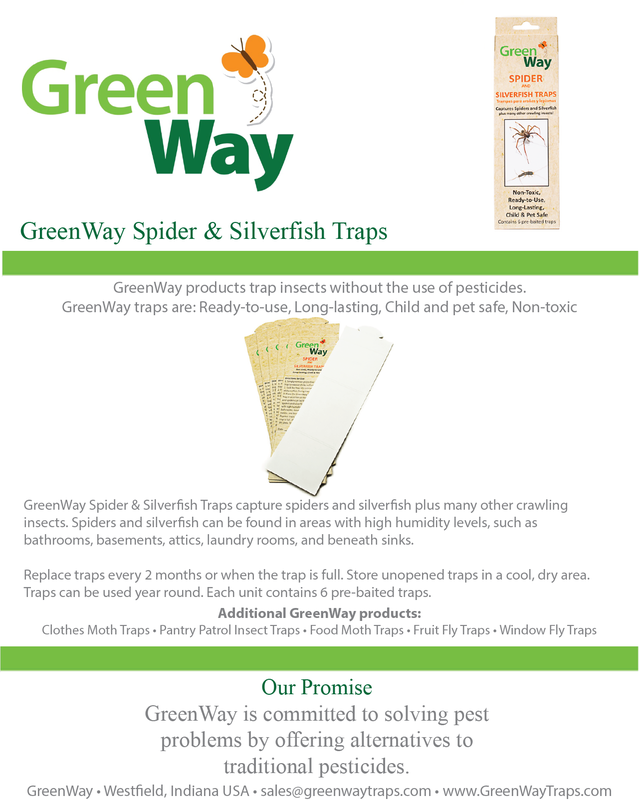 The GreenWay Spider and Silverfish Trap is child-friendly, pet safe, and can be used year round. Spiders, silverfish, and other crawling insects. Indoor commercial and residential areas, such as bathrooms, basements, attics, laundry rooms, and beneath sinks. Remove protective paper from trap to expose sticky surface. Fold the trap into a triangle with the sticky surface facing inwards. Place the product in a corner or near a wall where insects and spiders can be found. Replace traps every 2 months or when the trap is full. Traps can be used year round. Months, store unopened traps in a cool, dry area. 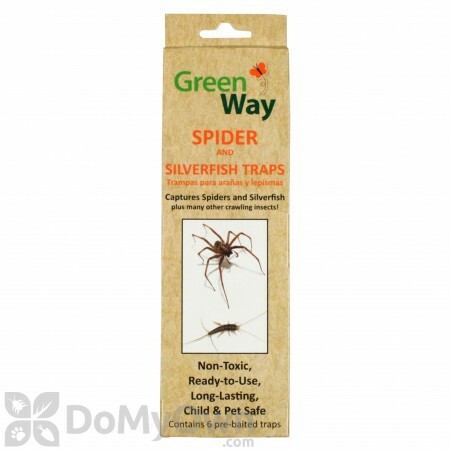 Does the GreenWay Spider and Silverfish Trap have an odor? 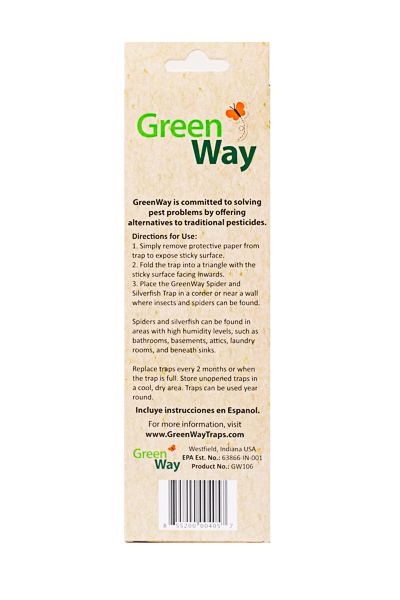 No, the GreenWay Spider and Silverfish Trap does not have an odor. 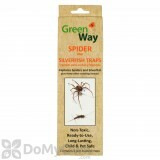 What attractant is used on the GreenWay Spider and Silverfish Trap? What formulation of attractant is used exactly inside the trap? 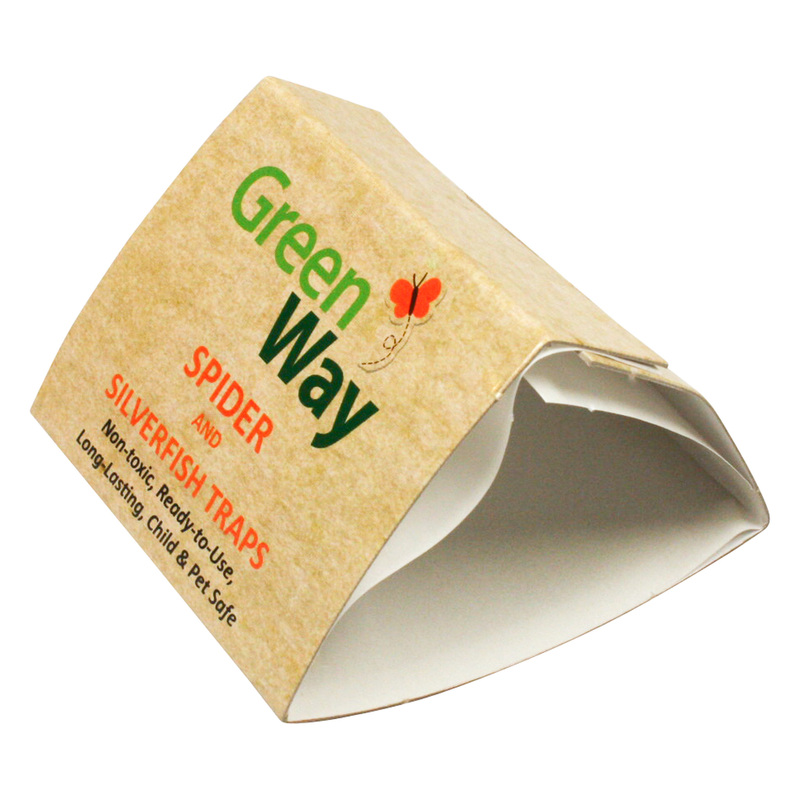 GreenWay Spider and Silverfish Trap contains a banana attractant mixed in with the glue that helps to attract the silverfish. Then, the spiders are attracted to the silverfish stuck in the glue boards to eat.